Why not Visit and join our New Website Practice Forum to interact & share with the practice & other patients. Please allow 48 hours (excluding weekends & Bank Holidays) before collecting your prescription. 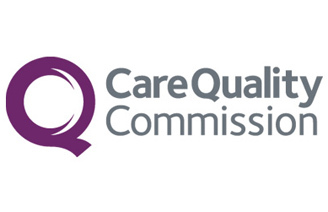 The Care Quality Commission (CQC) makes sure hospitals, care homes, dental and GP surgeries, and all other care services in England provide people with safe, effective, compassionate and high quality care, and encourages these services to make improvements. For more information, visit the CQC website. Setting national standards of quality and safety that people can expect whenever they receive care. Registering care services that meet national standards. Monitoring, inspecting and regulating care services to make sure they continue to meet the standards. Protecting the rights of vulnerable people, including those whose rights are restricted under the Mental Health Act. Listening to and acting on your experiences. Involving people who use services. Working in partnership with other organisations and local groups. Challenging all providers, with the worst performers getting the most attention. Making fair and authoritative judgements supported by the best information and evidence. Taking appropriate action if care services are failing to meet the standards. Carrying out in-depth investigations to look at care across the system. Reporting on the quality of care services, publishing clear and comprehensive information, including performance ratings to help people choose care.